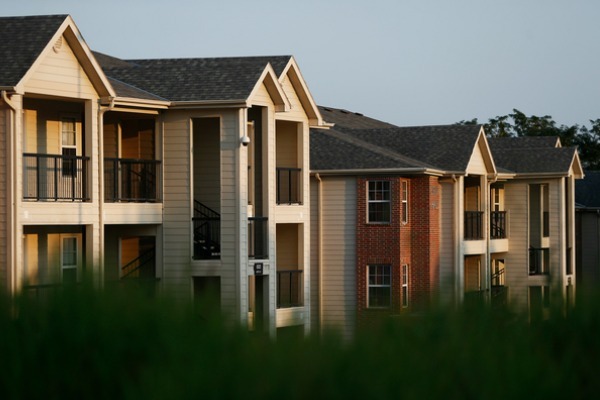 Enjoy the convenience of on-campus living or live in a nearby neighborhood. Study at the library, dine at the student center, and get a workout at the gym. Then walk to a movie or enjoy a night out on the town with friends. It's all within easy reach at UNO. 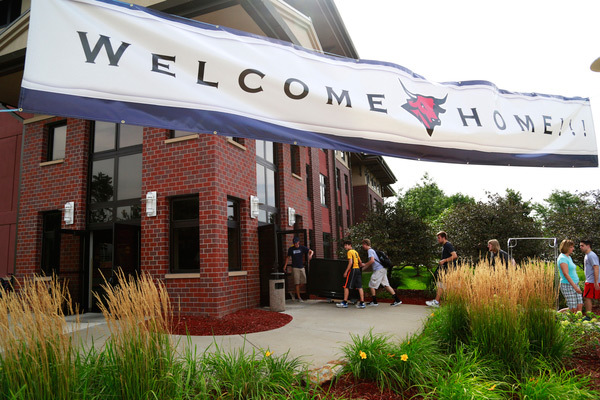 UNO offers multiple housing options to our domestic and international students. 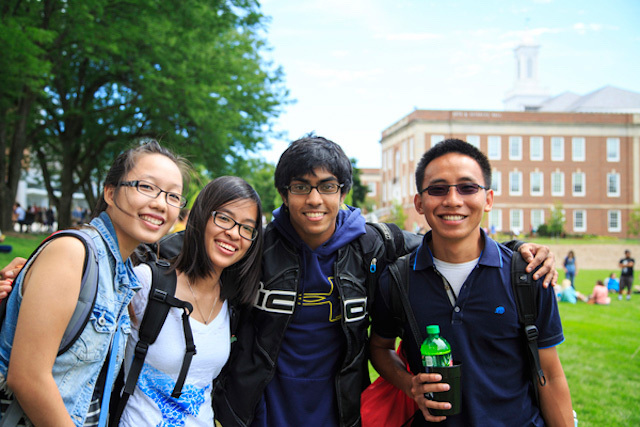 Many international students who choose to live on campus every year. The process for international students to apply for housing is no different than it is for stateside students. 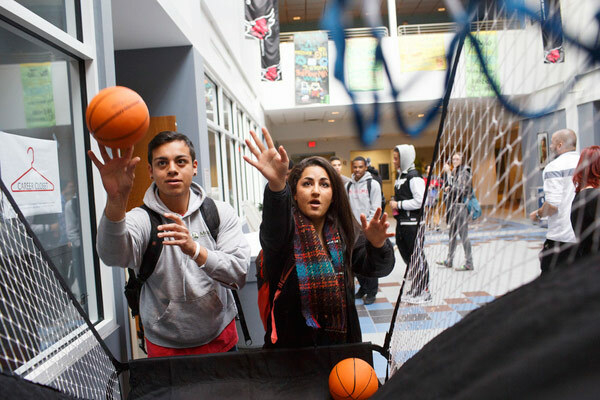 International students at UNO may choose to live in on-campus, apartment-style housing – comfortable and convenient for both studying and discovering Omaha’s attractions. Prefer to live off-campus? Just choose one of several privately-owned apartments that are within walking distance to the campus, shopping, and restaurants. Homestays are also available. For guidance these living arrangements, check out International Student Advising. From Dodge campus to Pacific, we have a virtual tour for whichever facility you're interested in. UNO on-campus housing typically has a waitlist. Temporary Housing options are available while searching for an apartment. A few hotels near UNO have special rates for UNO international students and scholars. University Honors Program: Challenge yourself in a program with peers that seek the same high leadership and academic standards – all under the guidance of our uniquely qualified faculty. Student Organizations on MavSYNC: Through more than 100 clubs and organizations, students can get involved in community service, student government, political and social justice issues, or faith and spiritual groups. Maverick Productions: A student-run organization that provides fun and exciting activities and entertainment for the UNO campus and community. Film screenings, comedic and fine arts performances, community outings, and live concerts are always on the schedule. Maverick Athletics: You’ll find team spirit everywhere, whether you’re an athlete or a fan. We have multiple national and conference champions with loyal followings. Our teams compete in the NCAA Division I. All athletic events are free for UNO students. Campus Recreation in the HPER Building: As a UNO student, you’ll have access to our Olympic-size pool, indoor track, weight rooms, rock-climbing wall, and classes such as yoga and pilates. You can also compete on an intramural sports team. Criss Library: UNO's state-of-the-art library and media center offers books, music, movies, computer labs, and a quiet place to study. Students find a wealth of printed material and robust research databases, as well as experienced staff to guide their research. Milo Bail Student Center: Serving as the hub of campus life, the student center has a 10-vendor food court, computer labs, relaxed study spaces, a convenience store, and a bookstore. It is the location of many special events. Omaha is a vibrant, culturally diverse metropolis in the middle of the United States, offering big-city attractions in a safe, small-town atmosphere. The metro area’s 850,000 residents are hard-working, genuine, and welcoming. Check out everything that Omaha has to offer at visitomaha.com. Affordability: Omaha is the most affordable U.S. city and among the best for young professionals, according to Forbes magazine. Economic Vitality: Omaha consistently maintains one of the lowest unemployment rates in the United States, and is home to five Fortune 500 companies, including Warren Buffett’s Berkshire Hathaway. Arts and Culture: Omaha hosts the College World Series of baseball, draws world-class musical performers, and boasts one of the country’s best-rated zoos. As the hometown of Saddle Creek Records, Omaha has developed a legendary indie rock music scene. 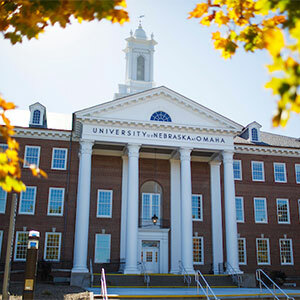 Convenient Transportation: Drive, ride, bike, or walk – UNO students can easily enjoy tree-filled parks, trendy shopping, sports fields, and fine restaurants all within a few short kilometers of campus. With a wide variety of food, cultural events, and places of worship, the community offers something special for every international student. The Global Learning Community is now available at University Village. The community provides structured opportunities for U.S. and international students to share cultures, gain new perspectives, and make friends. The Global Learning Community is one of several learning communities you can choose once you have signed up for on-campus housing. Click on the arrow below to learn more.